Monday, July 16 at 7:30! Get Equipped in your ministry to continue to invite, inspire, and lead people to follow Jesus. This session will focus on those things that cause us to grow as Jesus followers. 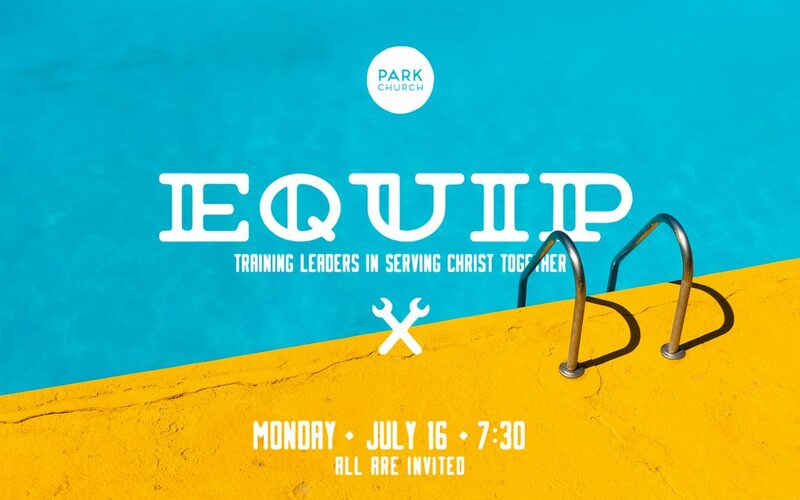 We’ll explore ways to embed these ‘faith catalysts’ into what we do here at Park Church so that when people get connected to the community, they grow – and grow one another! Previous Post LinkSunday Beach Dinners!Next Post LinkSummer Sundays! 9:30 Service time!